This information is taken from our booklet When a baby dies or young child dies suddenly and unexpectedly. The booklet is designed for parents who have lost a baby or young child. The Lullaby Trust hopes that it can help explain what you might experience now and in the future, both in terms of practicalities, and the complex thoughts and feelings of grief and loss. This page explains some of the practicalities and there are other sections on the website that talk about grief and loss. What is ‘sudden infant death’? Some sudden and unexpected deaths can be explained by the post-mortem examination (a careful internal and external examination of the body performed by a trained specialist). The examination could show, for example, an infection or other illness such as a genetic disorder that could have caused the death. Deaths that are still unexplained after the post mortem are usually registered as ‘sudden infant death syndrome’ (SIDS) for babies under a year old. (Deaths of children up to 2 years old are sometimes also recorded as ‘sudden infant death syndrome’). SUDC is sometimes used for children over the age of 12 months who die without a known cause. The term ‘unascertained’ may sometimes be used, which is another way of saying that the cause of death cannot be found. ‘Cot death’ was a term often used in the past to describe the sudden and unexpected death of a baby. It is used less often now, because it suggests that sudden infant death can only happen when a baby or young child is asleep in their own cot or bed, which is not the case. At this deeply distressing time, we hope these notes may help to explain some of the procedures, which will have to happen, and the important decisions to be made. You can call The Lullaby Trust, or ask someone to call on your behalf, if it would help to talk things over. Once your child has been taken to the hospital, a doctor or other health professional must formally confirm that they have died. If they do not know the cause of death, they must inform the Coroner (or the Procurator Fiscal, in Scotland). The child will be examined carefully and some blood and tissue samples may be taken to try and find the cause of death. You should be offered a keepsake such as a lock of hair, or a hand or foot print. You can ask for this if staff don’t mention it to you. A photograph of the whole family can be arranged, and may be important for brothers and sisters as they grow up, or are born afterwards to help them remember their sibling. Support from the hospital chaplaincy team should be available but you can ask for a minister from your own faith to attend. Going home without your child can be very difficult for parents, so take your time to leave the hospital, and try to have a loved one or friend to go home with. If you were breast feeding your child when they died, ask your health visitor, midwife or doctor for advice on managing your milk supply. Your GP can prescribe medication to stop milk production more quickly and help with the physical discomfort. Coroners look into all sudden and unexpected deaths to try and find out why and how the death happened. You should be given a contact number for the Coroner’s office, the Coroner will arrange for your child to be taken to a mortuary. At the mortuary a specialist paediatric pathologist (a type of doctor who is trained to find out how a child has died) will carry out a post mortem examination to try and find the cause of death. This may mean your child has to be taken to another city where there is a specialist children’s hospital with staff that are trained to carry out the examination. The Coroner does not need your permission for this, but should explain the process to you. Many families find being separated from their child very difficult, but your child will be treated with great care and respect by the medical staff. A post-mortem examination is a careful external and internal investigation of the body to try to discover the cause of death. In around half of the post mortems performed, a cause of death or a factor that may have contributed to the death is found. When the post-mortem examination does not reveal a cause of death, then it is likely that a diagnosis of SIDS (sudden infant death syndrome) or sudden unexplained death in childhood (SUDC) will be given. The term ‘unascertained’ may also be used. Soon after the post mortem examination, the pathologist will write a report on the findings. If more tests are required then this may be an initial report. You should be able to get a full copy of the report if you would like one. The coroner will get any initial findings. Where possible, with the coroner’s approval, you can be given some information about these results. The final post mortem examination report may take several months to be completed, depending on the number and type of tests conducted. The post-mortem examination may help the Coroner decide whether an inquest is needed. You may wish to ask a paediatrician (doctor who has special training in looking after children) to go through the report with you, as the report will be written with medical terminology that may be confusing to a person without specialist knowledge in the field. The post-mortem report is often sent directly to you, but you can ask your key worker to check this. When the post-mortem examination is completed, you should be able to organise a funeral but you might not be given the detailed results of the post mortem for several weeks. You may be asked whether you plan a burial or cremation, so that the correct papers can be prepared. If you are not sure at this stage, you can inform the funeral director of your choice later on. The formalities that take place after a baby dies can be complicated, and at times you might hear words that you’re not sure of. Always ask for clarification if you don’t understand what someone is telling you. Coroner: A coroner is a doctor or lawyer, or sometimes both who inquiries into all sudden, unexpected or unnatural deaths. Inquest: The formal inquiry of the coroner to confirm who has died, the circumstances of the death and decide if a cause of death can be found. Paediatrician: A doctor who specialises in treating children. The paediatrician is usually one of your key contacts. Pathologist: A medical doctor who carries out the post mortem examination. Metabolic Disorder: A genetic condition that affects the way the body converts food into energy or fuel. When a baby has a metabolic disorder, the body can’t break down the food correctly, which can cause the body to have too much of a particular substance or too little of the ones they need to stay healthy. Genetic Disorder: A condition caused by faulty genes which may have been inherited from parents or occurred randomly. Some conditions can be triggered by a combination of genes and environmental factors. You can also call our bereavement support helpline if you have any questions about something you’ve heard. As part of the post-mortem examination, the pathologist will take small samples of tissues (smaller than a postage stamp), which are then put into slides. These may need to be kept for a while longer for testing. Once the post-mortem examination is complete, you will be asked what you would like to happen to the samples. • or to have them returned to you. Some parents have found great comfort in knowing their child’s tissues might help research, or that future medical advances may give more answers. It is very rare for whole organs to be kept for additional tests, but should this need to happen the reasons will be explained to you. Even if at first no cause of death is found, it is possible that in the future as medical research advances, a tissue sample taken from your child could be looked at again, with your consent, and an answer may eventually be found. You may have been able to hold your child at home or in the hospital before he or she was taken to the mortuary. After the post mortem examination, and once the death certificate is issued, you can choose how and where you wish to care for your child before the funeral. Many families choose to visit their child at the hospital or funeral parlour. Others choose to have their child at home for a few hours or days before the funeral, which for some families is a chance to say ‘goodbye’ in familiar and loving surroundings. Some families choose to invite a representative from their faith, to say a prayer or give a blessing. Ask the healthcare professional or funeral director about any ways in which your child’s appearance may have changed, or about any visible signs of the post mortem examination (usually only visible if you choose to undress your child), if they don’t offer this information. Your child may feel different to touch and hold as a result of natural changes after death. It is helpful to know what to expect, so if necessary you can describe to any other children how their brother or sister may look or feel. If there is no inquest, the Coroner will send a pink form to the local registrar stating your child’s cause of death. If no cause was found, this will read as ‘SIDS’ or ‘sudden unexplained death in childhood’ or ‘unascertained’. You can then formally register his or her death which, legally, must be done within five days (though this can be extended under certain circumstances). The Coroner’s Officer or other official will advise you where and when to register. You will need to take your child’s birth certificate with you. If your baby died before you were able to register their birth then you can do this at the same time, or you can make two separate appointments. • One certified copy of the Death Certificate (you may buy extra copies for a small fee). • A green form, which allows a burial or cremation to take place. • A certificate for the Department of Work and Pensions if you are applying for a funeral payment. It is very difficult at such a time to ask all the questions and take in all the information you need to consider. It can help to have another close family member or friend with you when you are making these decisions. Whilst there should be no charges for the burial or cremation of any child there are still costs you may have to pay. It is a good idea to ask for a written estimate or quote before making arrangements. You will not be charged for the basics, such as a coffin and the necessary services of the funeral director, but you will usually still need to pay for any ‘extras’ such as flowers or a car for relatives. A fee for the person conducting the funeral service would usually still have to be paid. If you are on a low income or in receipt of certain benefits, you may be eligible for a Funeral Payment to help pay for funeral costs. At present a Form SF200 has to be completed (downloaded from www.gov.uk/funeral-payments) or you can phone the special helpline on 0345 606 0265 to make a claim and for advice. Your funeral director may also be able to advise you. Arranging a service with a sympathetic funeral director can be a big help. You can choose any funeral director; it doesn’t have to be the one who took your child to the mortuary. The advice of a representative of your faith may help you, and you may also wish to consider alternative forms of non-religious service. You can find funeral directors in your local area by contacting the National Association of Funeral Directors on 0845 230 1343. Your faith representative or funeral director can help you decide whether to have a burial or cremation. You might like to ask what rights you will have concerning ownership of the burial or cremation plots, what type of memorial will be allowed such as a headstone or plaque, and the costs. You can discuss the choice of songs, hymns, music, readings and poetry for the ceremony with family, friends and those helping with the service. These decisions can feel very upsetting to make, so try to give yourself enough time to make the choices that are right for you. If you choose a cremation service be aware that it is sometimes not possible for the crematorium to provide ashes. It is a good idea to ask if this will be the case and ask for details of a crematorium which can provide ashes if it is not possible at the crematorium you first contact. Scattered at a special place of your choice. Some families chose to scatter the ashes on the same day as the cremation but you may need to have the cremation in the morning to fit both in the same day. Some families choose to keep the ashes at home with them. Again this can be a very difficult decision, so take as much time as you need in making it. It can be helpful to involve brothers and sisters in the funeral, whatever their age. Give them a choice about whether or not to be there, and talk to them about what will happen so they are prepared. A member of your family or a friend could be asked to help care for them at the funeral. It’s generally best to give children simple, straightforward explanations about what is happening. It is also important to let the school know about the death of a pupil’s brother or sister, so staff can provide support and be aware of any emotional or behavioural changes. There is more information on supporting brothers and sisters on page 28-30. Many places of worship and some hospitals and funeral directors have a Book of Remembrance, in which you may wish to enter your child’s name. If you would like to have a headstone or memorial plaque, you can seek advice from your funeral director and ask for estimates of cost. There are regulations on the types of memorial stones allowed in cemeteries and some churches have their own regulations. Some families plant a tree or bush or make some other form of permanent memorial. You could consider planting it in a large pot, so that you can take it with you if you move home. There are also some memorial forests where you can have a tree planted in a protected and dedicated space. It can also be used to collect and record donations given in memory of a loved one. Many sudden infant or child deaths will have an inquest. An inquest is an inquiry to confirm who has died, when, where, and to further establish the cause of death. The inquest does not set out to accuse, blame, or comment on anyone’s actions. It happens in a coroner’s court, which can feel scary. Sometime this just means a room within the building, with the coroner leading. If the coroner decides to hold an inquest you will be told the date, time and place. 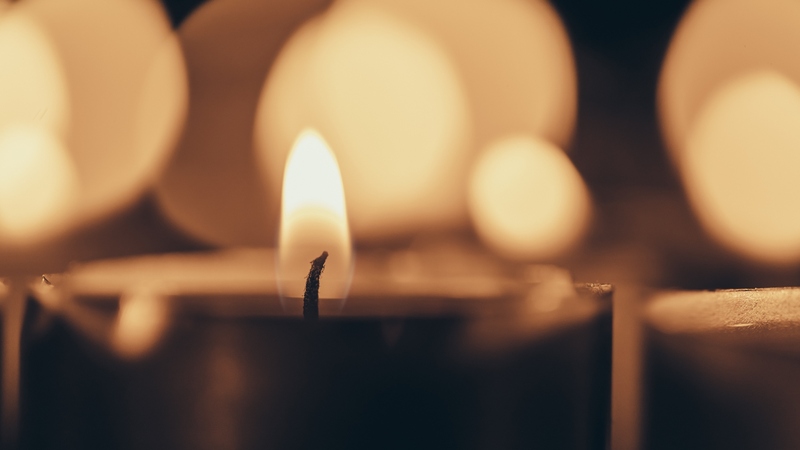 Often inquests can happen quite some time after a death so the coroner may issue an order allowing burial or cremation before the inquest is completed. If no medical or other explanation has been found through the post-mortem examination, the coroner will confirm the cause of death as SIDS or sudden unexplained death in childhood. Many parents tell us they feel disappointed with this outcome, as they hoped that the inquest would provide a ‘proper reason’ to explain why their child died, but sadly this is very often not the case. You may find it helpful to talk with The Coroners’ Courts Support Service (CCSS). CCSS is a registered charity whose trained volunteers give emotional and practical support to bereaved families and other witnesses attending an inquest. They can take you to the court before the inquest and explain what will happen. To find out if this service is available in your area visit www.coronerscourtssupportservice.org.uk or phone 0203 667 7884. All child deaths (up to the age of 18 years) are reviewed by specialist Child Death Review Panels. These regional panels play no part in the investigation of the cause of an individual child’s death but they look at all deaths to see if there are any lessons or patterns that could help improve care and prevent children dying in the future. Once the investigation has finished, the CDOP will see a summary of the events before and after the death of every child in their area. It can take some time for the CDOPs to meet. You should have a key worker to support you through this process. The CDOP makes recommendations and reports about the lessons learned to those responsible at a local level. They do not produce reports about the death of individual children but each CDOP produces an annual report, which is a public document. Anyone can read the annual report; importantly it does not contain any details that could identify an individual child or their family. Can you be involved in the child death overview panel? Parents and carers are not invited to be part of the panel but you may be invited to contribute any comments you might have into the review of your child’s death. Although individual deaths are not reported on, you may be given some feedback if there is specific learning that is identified or a recommendation suggested at the meeting that is relevant to your child’s death. Unfortunately there are other financial practicalities to sort out during this difficult time. It may be easier to focus on these after the funeral when you have a bit more time, or you could ask a friend or family member to help you. You will need to tell your Child Benefit Office about your child’s death. Child Benefit payments will usually carry on for 8 weeks after a child’s death and you may still be able to claim Child Benefit if your child died before you made a claim. You’re entitled to up to 8 weeks of Child Benefit if you claim within 3 months of the death. You can do this either online through the direct.gov.uk website or by contacting the Child Benefit Office. If you have been employed, and your child died under 1 year of age you should still be entitled to statutory maternity or paternity leave and pay. It may be that you do not have to return to work for a year after your baby was born, although some of this leave may be unpaid. Your employer may offer extra maternity benefits that still apply even though your child has died. Talk to your employer about what they can offer you or check your contract. If you opened a savings account or an insurance policy in your child’s name, it will need to be cancelled by contacting the bank, building society or other provider concerned. There are other benefits that you are still entitled to if your child died under 1 year of age, such as free dental care and prescriptions. Your child’s GP should have been notified of your child’s death very quickly, but some families contact them directly as well. You could ask your GP to add a flag on you and your family’s records about your child’s death so that you do not have to explain what happened at each visit. You may wish to reconsider your privacy settings on social media if there are photos of your child on there, as these could be reused without your permission if they are publicly accessible. If you are employed, returning to work can be a difficult time. Your colleagues may be unsure of whether or not to say anything about your child’s death and how you are feeling. Most people do care, but they can find it difficult to express their sympathy. Some parents have found it helpful to ask their employer or senior colleague (who may be less personally close) to speak to colleagues about what has happened, before a return to work. Some parents are not in work when their baby or young child dies. If parents had decided to leave work or take maternity/paternity leave, they may find it difficult, when they return, to explain the change in circumstances. As a bereaved parent, you will be entitled to paid leave following the death of your child. This will be two weeks and there will be some flexibility over when you take this. It will be paid at a set amount, which much like a statutory sick pay, may be less than your salary. Talk to your employer as soon as you are able to. Many will be sympathetic and may offer more flexibility around when you return to work. You can self-certify sickness absence for the first week, and then you will need to visit your GP for a ‘fit note’ to continue to take sick leave. Try to contact your work, or ask someone else to, if you need more information about your employer’s position.